Dealt with John at Intoto in Halifax - really nice and straight up bloke. Not high pressure like others we had visited. Installation went great and no complaints on the quality. I suppose they are more expensive than some places but I think a good kitchen is worth a few extra quid spent on it. 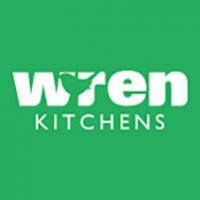 Huge mistake buying a kitchen from this lot. Several faults with the delivery. Kitchens are very mediocre. Only 4 months after installation things are starting to go wrong. Plinths keep falling off, doors keep needing adjustments, one door has already been replaced. Cant see how this kitchen will last 10 years. I had been assured a good German made kitchen. This kitchen is Wickes quality for 3-4 times the price. I agree with Monahans response, please name the store as I would regard Intoto to be a very good company and the quality is good! The In-toto St Albans franchise changed hands in October 2011 and the new owners have completed a number of kitchen installation and customer service issues left over by the previous owners. We are sorry to read of this persons problems and assure them that if they have any future service issues to feel free to contact us and we ill endever to resolve. Damn! I wish I'd seen this before I'd contracted with INTOTO GUILDFORD. I've had to resort to recording everything the proprietor says, because he ALWAYS denies saying it later. I've done a fair amount of DIY, and had previous bathrooms/kitchens fitted by some of the other large national chains. In-ToTo blows them all away. The design team is low pressure (even talking us down from some unnecessarily expensive appliances), and has lots of clever storage ideas for small kitchens. We are extremely delighted with our experience with Intoto. Professional and friendly service from the first time we walked into our local store in North Finchley. Cleo is extremely knowledgeable and all our requirements where met. Nothing was too much trouble. We love our new kitchen and couldn't have asked for more. 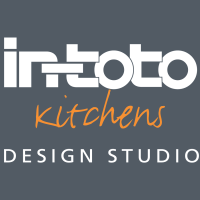 We purchased a kitchen worth over £20k from Intoto. Cannot fault the staff at the dealership for not trying, but the quality of the product is quite simply awful. Components provide poor color matching and after several conversations, it was a take it leave it situation. Very dissapointing. A couple of months on and having spoken to friends, family and 'people in the know' the reality of our purchase has dawned on us. This is really a very mediocre product backed up by slick marketing. I had a kitchen fitted october 2006, finished august 2007. First of all the kitchen was delivered half the colour requested and half a different colour. Absolutely superb service from the first time we walked into our local In-toto Kitchens store in Milton Keynes. 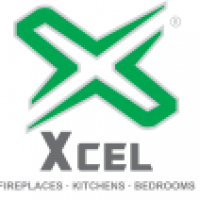 Non-pushy sales experience, very professional, friendly and knowledgeable staff, value for money,competent fitting team. Will definitely recommend and use them again. We are delighted with our experience with Intoto. Professional and friendly service from the first time we walked into our local store in Milton Keynes. Very knowledgeable staff. Every request was accomodated and nothing was too much trouble. We love our new kitchen and couldn't have asked for more. Intoto managed the entire project and kept us informed at all stages of the 3 week project, no doubt helped by skilled and competent tradesmen. In-toto Kitchens were the only shop where they seemed to listen to me and the design and end product met all my expectations. My kitchen was fitted in 2006 by In-toto Kitchens and it looks a good as the day it was fitted. I would consider using the same manufacturer again but would be more insistent on my requirements.